A gay couple from Wembley, west London, have criticised a court ruling after a man found guilty of threatening them narrowly avoided jail. Mark Wilks was handed a 20-week sentence suspended for two years following a ruling at Willesden Magistrates Court on January 25, reports Brent and Kilburn Times. 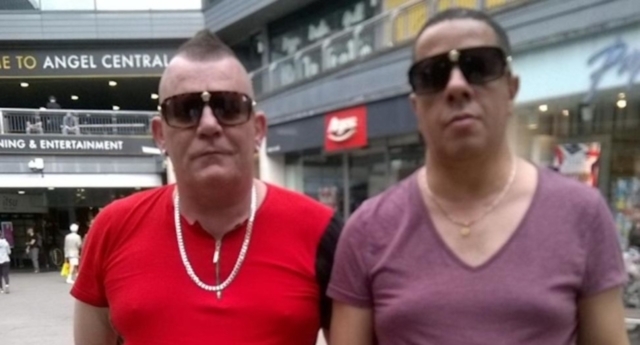 The local paper reports that the 35-year-old man was found guilty of using threatening words and behaviour towards married gay couple Andrew and Gustavo William-Coleman, as well as criminal damage, and securing entry to the couple’s accommodation using violent means on November last year. Wilks denied the charges made against him. “We were very close to sending you directly to prison. This is an opportunity with your new job to take it and move on,” magistrate Abigail Poulard told the court. Andrew, however, described the court’s decision as a “slap in the face” in a statement to Brent and Kilburn Times. He also said he believed there was a “level of discrimination” behind Wilks’ crimes. At the time of the incident in November, the couple had been staying at a council-mandated temporary accommodation at the Euro Wembley Hotel in Elm Road. The court handed Wilks a £600 fine and ruled he must not enter the Elm Road property for five years as part of the terms of his restraining order. Nik Noone, chief executive of LGBT+ violence charity Galop, told Brent and Kilburn Times: “Andrew and Gustavo’s bravery should be commended. “It’s more important than ever community to stand together in rejection of homophobia, transphobia, biphobia and all other form of intolerance [from taking hold] in the UK. “Recorded hate crimes targeting LGBT+ people have doubled in just three years. In June, PinkNews reported on how the William-Colemans suffered a separate attack at the Euro Wembley Hotel. Andrew was stabbed in the ear and has a small brain bleed while his husband, Gustavo, suffered a facial fracture.